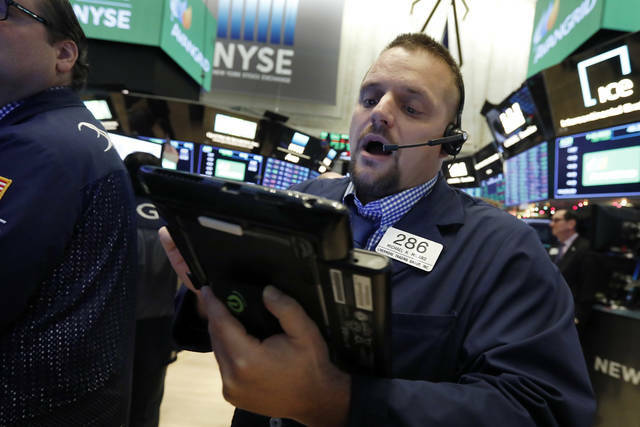 NEW YORK (AP) — Stocks tanked Tuesday as the goodwill generated by a truce between the U.S. and China over trade evaporated over confusion about what the two sides had actually agreed upon. The sell-off short-circuited a recent rally on Wall Street. The market gained Monday after the Trump administration said U.S. and China agreed to a temporary cease-fire in a trade dispute. Last week, stocks jumped when the Federal Reserve’s chairman indicated the central bank could slow the pace of interest rate increases. On Tuesday, investors’ confidence in the U.S.-China agreement faltered after a series of confusing and conflicting words from President Donald Trump and some senior officials. That contributed to renewed fears that the disagreement between the two economic powerhouses could slow the global economy. “You have the drop in bond yields and the implications on growth going forward,” said Willie Delwiche, investment strategist at Baird. The stunning turn in the markets followed a strong rally on Monday fueled by optimism over the news that President Donald Trump and his Chinese counterpart Xi Jinping had agreed at the G-20 summit over the weekend to a temporary, 90-day stand-down in the two nations’ escalating trade dispute. That optimism quickly faded as skepticism grew that Beijing will yield to U.S. demands anytime soon. Williams’ comments seemed to counter Fed Chairman Jay Powell’s remarks from last week. European markets fell, with Germany’s DAX losing 1.1 percent and France’s CAC 40 dropping 0.8 percent. Asia markets were mixed. Japan’s Nikkei 225 index fell a steep 2.4 percent.